Rs 30,000 crore bailout package from the government. As the PM-headed appointments committee of the cabinet approved Lohani’s appointment as Air India chief for a three-year-tenure in place of 1982 batch IAS Rohit Nandan, Lohani's past achievements particularly in tourism sector must have been factored in. 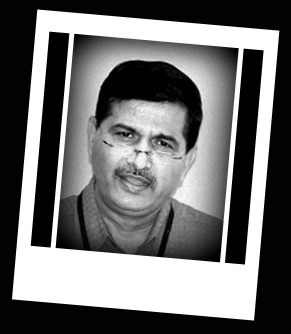 After all, Lohani scripted the turnaround of India Tourism Development Corporation (ITDC) in the year 2002-3 (he was its CMD then) and then placed Madhya Pradesh tourism in the national landscape when he served as the MD of Madhya Pradesh State Tourism Development Corporation (2004-05 and 2006-09). Now, Lohani is again on a deputation to the government of Madhya Pradesh handling the role of anchoring MP tourism. An Indian Railway Service of Mechanical Engineering officer, Lohani has four engineering degrees (mechanical engineering, electrical engineering, metallurgical engineering and electronics and telecommunication engineering), thereby making an entry into the Limca National Record in 2007. And in Indian Railways too, Lohani made a mark. As divisional railway manager in Delhi, he made quantitative and qualitative improvements at railway stations. The Comptroller and Auditor General (CAG) in its audit report on the Commonwealth Games appreciated the improvement works done at the New Delhi station (page 45) making Delhi Division the only government department that was praised in otherwise damning report for most departments. Lohani’s books include “Smoking Beauties” (March 2004) and “Winning at Work against all odds” (a book on management published in 2006). He also authored two reports -- Steam Heritage Tourism (July 2002) and Rail Heritage and Tourism (Jan 2006). He loves Ghazals. Any film he likes? Yes-- Lage Raho Munnabhai, Munnabhai MBBS, Goal, Chak De, Lagaan and Deewar. And what does make him happy? “There is nothing like whistling and singing in the rain” he writes in his blog. He has his own credentials and marked to be a good officer in hospitality and creative sector. But his selection as Chairman and managing Director has stunned to everyone. His appointment itself shows that his connection in the power corridor is evident. No matter which government is ruling. His creative instinct is to exploit for power and position. though i do not know mr. lohani but believe me the appointment has been purely on merits. The PM has carefully chosen all bureaucrats in the PMO and the same rule is being followed in key appointment. Lets admit that PM does not and cannot have an illustrious team of politicians so he chooses bureaucrats of proven merits. Such appointments of officers other than IAS is not going to be welcome by top brass IAS laden bureaucracy but can be seen as a hope of opportunities for deserving candidates from other services. A welcome move to free the Indian governance, which is gasping for breath under colonial structures of IAS.Hopefully, talented officers from other services get their due in coming years. I hope he same procedure is followed in selecting top future brass of Railway Ministry.